In 2014, after losing a number of Somalian cities it had captured to African Union and Somali troops, the terrorist group Al-Shabaab changed its tactics. To demonstrate its continued power and presence, Al-Shabaab cut off water supplies to its formerly held cities. Residents from these cut-off cities were forced to fetch water from nearby towns, many of which Al-Shabaab controlled. But the terror group prevented anyone living in government-controlled territory from entering, which increased people’s frustration with the government. Attacking water is not a new terror tactic. Three decades earlier, in the midst of Peru’s economic crisis and failed agrarian reforms, the leftist group Shining Path destroyed precious water infrastructure, along with bridges and electrical systems. More recently, the Islamic State of Iraq and the Levant (ISIL) took control of Tabqa (2013) and Mosul (2014) dams, spurring fears the dams would fail and disrupt water flows and hydropower generation. To better understand incidents like these, we launched a study to codify, quantify, and conduct a geospatial analysis of water-related terrorism. Using the Global Terrorism Database, which includes more than 170,000 terrorism incidents from 1970-2016, we developed a method to codify types of water-related terrorism. Using this method, we found 675 water-related incidents in 71 countries, conducted by 124 known terrorist organizations, and resulting in approximately 3,400 dead or wounded people. Contrary to the belief that terrorists typically use water as a weapon, we found that the most common target of water-related terrorism was water infrastructure: the pipes, dams, weirs, levees, and treatment plants associated with water storage, treatment, and delivery. Terrorists target infrastructure to inconvenience government authorities, influence populations, and cripple corporations. While water-related terrorism is not new, it is on the rise, increasing 263 percent from 1970 to 2016, according to our analysis. The highest concentration of incidents—68 percent—occurred in the post-9/11 era, while 18 percent took place during the Cold War period and 13 percent in the post-Cold War period. These incidents are not evenly distributed: more than 80 events took place in Pakistan, more than 65 incidents took place in India, more than 60 in Colombia, more than 55 in Iraq, and more than 40 in Peru. South Asia had more incidents—more than 200—than any other region. The terror organizations with the highest number of incidents include ISIL, the Taliban, Colombia’s FARC, and the Shining Path. Shining Path and ISIL both favor attacking water infrastructure, which is consistent with the overall target pattern we found. The Taliban targets people associated with water resources, such as dam security guards and Afghanistan’s minister for energy and water, who it attempted to assassinate in 2009. It also has the highest proportion of “water as a weapon” incidents, close to 20 percent, in which water is used to poison or drown people, or water sources are ground zero for detonating bombs. FARC targeted oil infrastructure, which then contaminated water resources that sometimes supplied drinking water. For example, in 2015, FARC bombed the Tansandio pipeline, releasing 10,000 barrels of oil into Colombia’s Mira River. As a result, 150,000 people lost their access to water in the country’s most severe environmental disaster to date. Going forward, we intend to look more extensively at the regions with the highest number of incidents, and examine related transboundary watersheds. We will also look at downstream communities where the population is highly dependent on surface water, and countries with extensive water development infrastructure. 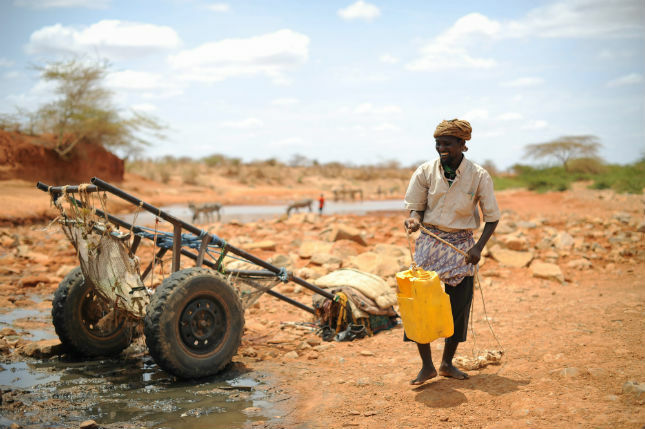 Water-related terrorism can strain efforts to manage transboundary watersheds already plagued by weak governing institutions and uncoordinated water development, posing an additional threat alongside their existing climatic, economic, social, and political challenges. These threats could be especially challenging in transboundary watersheds where attacks on upstream water infrastructure impact downstream countries. In the Amazon River basin, for example, Brazil may suffer consequences of Peru’s Shining Path attacks on the infrastructure in the Andean region headwaters—and have no official recourse. None of the current treaties or international water agreements on the Amazon include language about how to respond to terrorism. Finally, terrorist attacks on water infrastructure pose a particular threat to highly developed rivers and waterways, where computer systems control the flow of water through dams and other water infrastructure. For example, in 2016, the U.S. Justice Department announced that an Iran’s Islamic Revolutionary Guards Corps had hacked into the control system of a small dam north of New York City. While this attack was not successful (and even if it had been, the consequences would’ve been limited), a cyberattack on the dams along the Columbia or Missouri rivers, for example, could wipe out millions of people downstream. Jennifer Veilleux is a geographer and water scientist currently serving as a postdoctoral associate with the Steven J. Green School of International and Public Affairs at Florida International University (FIU). Her research and scholarship focus on different scales of global water security issues impacted by development policy and climate change. Shlomi Dinar is Associate Dean for Graduate Studies and Innovation in the Steven J. Green School of International and Public Affairs and Associate Professor in the Department of Politics and International Relations at Florida International University. Photo Credit: A man collects water from a well in Garbahaarey town in the Gedo region of Somalia, August 2014, courtesy of AMISOM Public Information.